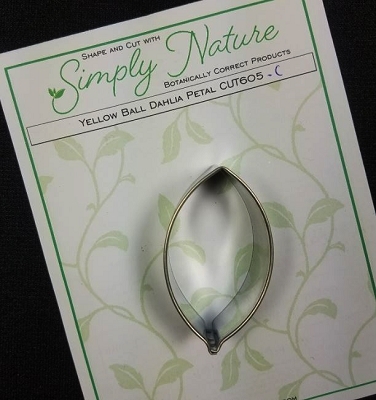 Yellow Ball Dahlia Petal Veiner by Simply Nature Botanically Correct Products, was created by Jason Dontz and Jennifer Dontz of Sugar Delites, and creates the most realistic Yellow Ball Dahlia petal interpretation possible. 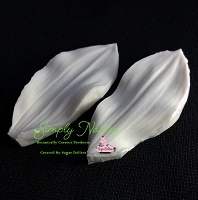 The Yellow Ball Dahlia petal veiner measures 2 1/4" x 1 1/8". 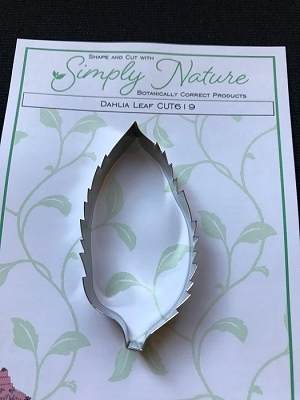 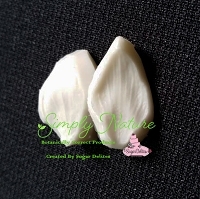 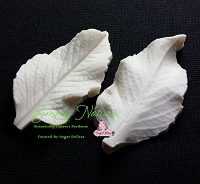 Simply Nature brand veiners capture each ruffle, pillow & vein because they were created from the actual top and the actual bottom of each leaf or petal, thus creating the most realistic replica of nature. 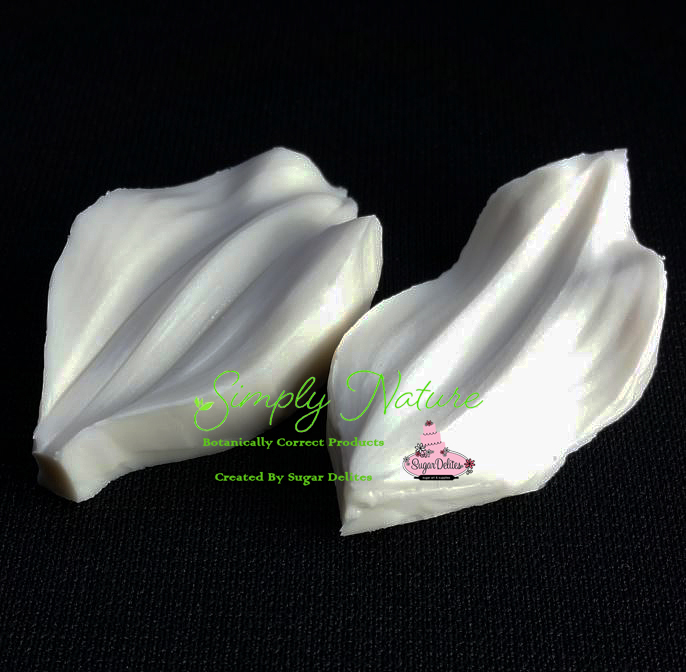 Botanically correct veiners leave room for your wire and will not cut your paste and since the veiners were created by nature, they also shape and form your medium as well. 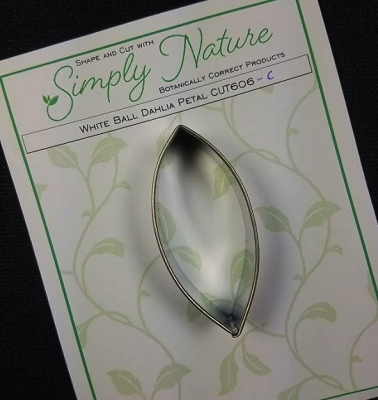 Each Simply Nature Brand veiner is made in the USA and is poured using the highest quality platinum based, food approved silicone. 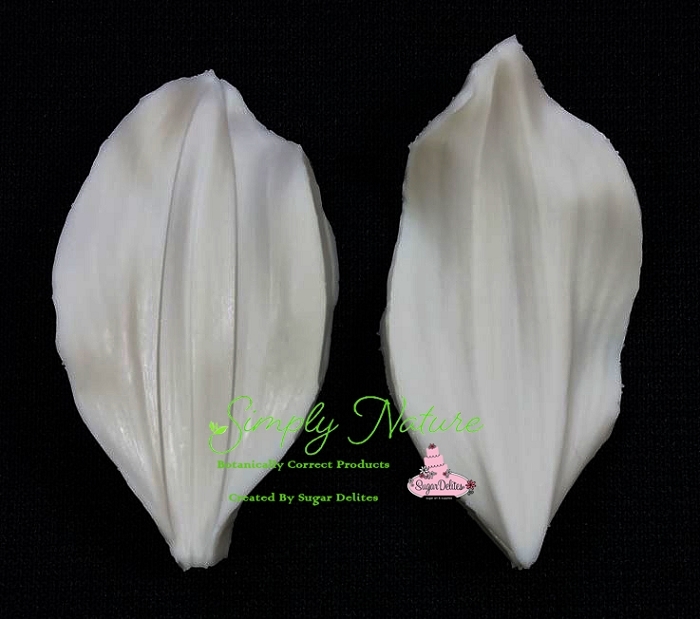 The matching cutter(s) for this veiner(s) is CUT605.